Feature phones are great. It’s just that you sometimes miss a bit of convenience and connectivity smartphones give you. Czech company Punkt must have thought the same, which is why they’re launching a successor to their minimalist Punkt MP01 phone called the Punkt MP02. What is the difference between Punkt MP01 and MP02? The MP02 sports more or less the same design as the MP01 but adds an important 4G LTE connection. Why would you need that on a minimalist phone you may ask. Punkt’s vision is that you can share this connection with any laptop or smart device that you want to connect to the internet with, so instead of the internet tapping into you with overwhelming notifications and apps, you are tapping into the internet whenever you want to. The MP02 is still focused on the main features of a pure cellphone, calling and texting. Calling and texting with a minimal text-based UI, enhanced Blackberry-grade security and an awesome battery life. Check out the full featureset below. Where can I buy the Punkt MP02? 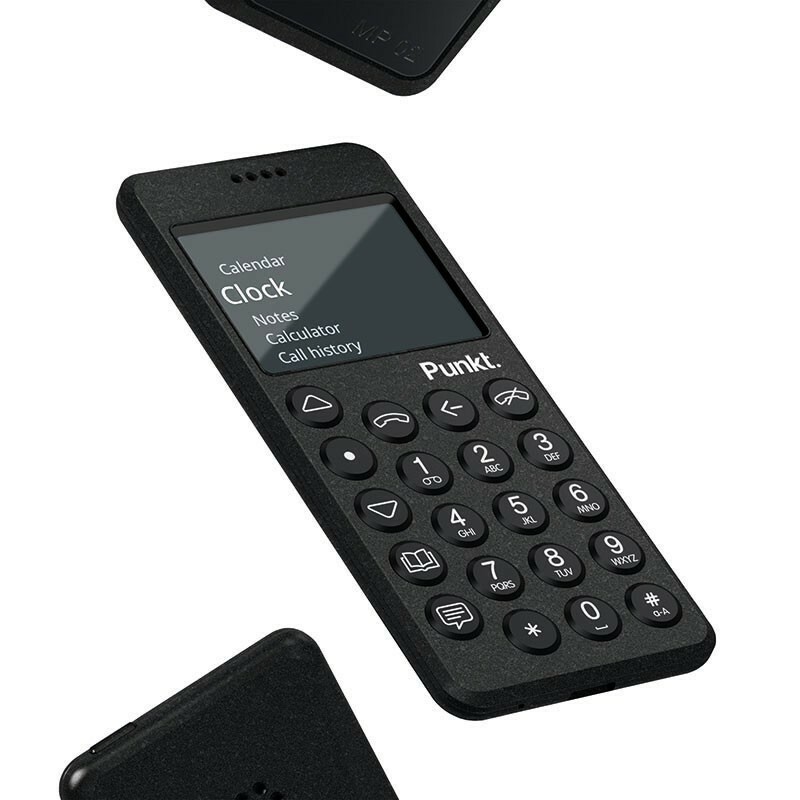 The Punkt MP02 is available for order on its official website Punkt.ch for $349. Alternatively you can buy it on Amazon via the link below. Make sure to check our best minimalist phones selection.